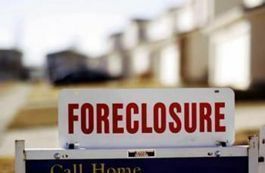 Fannie Mae has announced recently that it will suspend evictions of foreclosed single family and 2-4 unit properties from December 19, 2012 through January 2, 2013. Legal and administrative proceedings for evictions may continue, but families living in foreclosed properties will be allowed to remain in the home during this period. Previously, Fannie Mae announced a temporary suspension of foreclosure sales and evictions  in areas designated for individual assistance by FEMA due to Hurricane Sandy. That 90-day suspension will last through February 1, 2013. Homeowners can visit www.knowyouroptions.com  for resources on how to prevent foreclosure, including contact information for Fannie Mae’s 12 Mortgage Help Centers located across the country.